Councilmembers Michael Winkler and Alex Stillman, Mayor Shane Brinton, Vice Mayor Mark Wheetley and Councilmember Susan Ornelas. 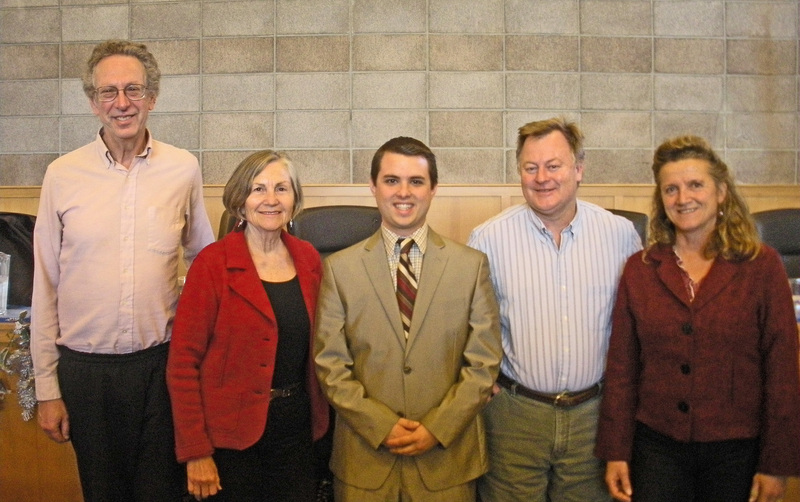 ARCATA – The Arcata City Council elected Shane Brinton mayor and Mark Wheetley vice mayor at a special noon meeting today. The Council is expected to ratify their selections at a special noon meeting Tuesday, Dec. 11. The City’s Municipal Code requires that the Council select the mayor and vice mayor at a special meeting held on the second Tuesday of December. Both mayor and vice mayor serve for one year. The mayor presides at Council meetings, appoints Council members to different committees, represents the Council at community events and performs other ministerial duties. The vice mayor presides in the mayor’s absence. “It has been an honor and a very interesting and rewarding experience to serve as Mayor for the past year,” said outgoing Mayor Michael Winkler. Mayor Winkler’s year in office saw the development and completion of large City-private partner housing projects including Strombeck Builders’ Campbell Creek apartments, the Sandpiper Manufactured Home Project and Danco’s Plaza Point affordable senior housing project. Other notable events of Mayor Winkler’s term include completion of Phase I of the Samoa Gateway Improvement Project; major Arcata Ridge Trail property acquisitions; development of the Mad River Parkway Business Center; expansion of the City’s Foodworks Culinary Center and approval of Footprint Recycling’s new location. Shane Brinton was elected mayor by a unanimous vote. Mayor Brinton will preside over his first regular Arcata City Council meeting on Wednesday, Dec. 19, 2012. This entry was posted on Tuesday, December 11th, 2012 at 8:20 am	and is filed under News. You can follow any responses to this entry through the RSS 2.0 feed.